Accentuate the Positive – The language of Louise Bennett. 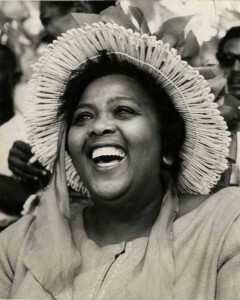 Louise Bennett – Photo courtesy of Jamaica National Library. Back in my high school days the deputy headmaster was trying to make a point about accent and dialect. He turned to me and suddenly I was held up as an example of someone making no effort to speak properly; what he called the Queen’s English. I was dumbfounded (or should I say gobsmacked) by this. I hadn’t considered that the way that I spoke made any difference to man nor beast. I could understand all kinds of speech – all part of the rich pattern of life. I could appreciate the localized accent and humour of comedians and performers like Mike Harding, Billy Connolly and Jasper Carrott. As kids we instantly recognised Charlie William’s South Yorkshire accent. These comedians’ stories were all told from their local neighbourhood perspectives and they were all the richer for it. I failed to understand the teacher’s point at all. I was proud of my accent. It was nothing to be ashamed of. Accent and dialect I later found at the heart of some of my favourite books. A Kestrel for a Knave by Barry Hines. Their Eyes were Watching God by Zora Neale Hurston. Trainspotting by Irvine Welsh. Alice Walker’s ‘Color Purple. 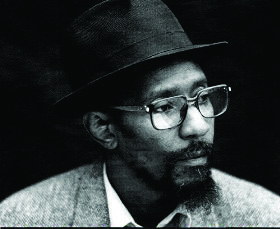 My appreciation of the spoken word dialect poem deepened when I discovered Linton Kwesi Johnson, and his work Dread, Beat an Blood. 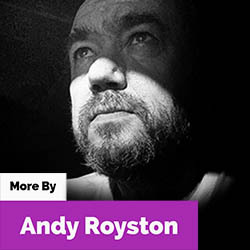 Following his music and his interviews I learned about his childhood growing up in Chapelton, Jamaica before he moved with his family to London. Linton differed from the heavily accented roots reggae stars I was listening to because he wasn’t toasting and singing he was reading poetry. And speaking in a way that made his meaning crystal clear without compromising his dialect. Linton was directly political and addressed the experience of being an African-Caribbean in 1970s Britain. “Writing was a political act and poetry was a cultural weapon”, he told an interviewer in 2008. He used unstandardized Jamaican patois, part of a poetic tradition that reached back to his experience back in Jamaica. Linton Kwesi Johnson, and fellow dub poets Michael Smith and Mutaburuka all honour the poet, performer and humourist Louise Bennett – Miss Lou – as being a huge influence on their work and understanding. Louise Bennett lived much of her life during colonial times; throughout the period of de-colonization and finally independence in Jamaica. Here was a time when Jamaicans were able to decide what they needed to forge a new independent identity – and language was very much a part of this. 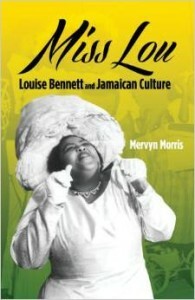 Miss Lou – Louise Bennett and Jamaican Culture, by Mervyn Morris. 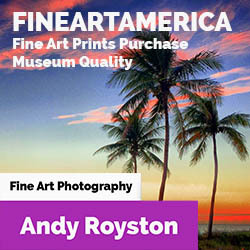 Clickto buy! In Jamaica children only come across what my teacher called The Queens English – that is standard English – when they arrive at school. They only knew patois, a creole language that was quite different. Patois is the result of people being moved from their African homelands, denied their native languages and forced to speak and understand English. The result is a mash up of West African and colonial English that is a languge in its own right. Jamaica had to rebuild its national identity and one way was through literature, story telling and oral culture. 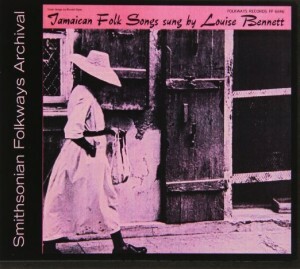 Louise Bennett’s work is especially notable for use of the rich colourful patois, despite being shunned by traditional literary groups. She always argued for the recognition of Jamaican as a full language, yet wasn’t given full respect as a writer and poet by leading writers of the day. Even though Independence presented an opportunity to reclaim things marginalized of lost during colonization there remained the notion that dialect was bad and standard English good. Louise Bennett played a huge part in reintroducing Jamaicans to their folklore and oral cultural traditions, though there was always a sense that this was vulgar and not acceptable in literary circles. She was was considered more of an comic artist and performer, because she was so well known to radio and television audiences. While she had been publishing her poetry since the 1940s it was clear that only in performance were her works fully appreciated. Her best known work would originate as print or radio journalism, where she used monologues in characters like Auntie Roachy to ridicule authority and spread some of the old proverbs and wisdom. From 1966 she composed and delivered her Miss Lou’s Views’ four-minute radio monologues on JBC. On radio in the 1950s and 60s, she was a huge favorite, with shows like Laugh With Louise, Miss Lou’s Views and The Lou and Ranny Show. In the 1970s Jamaican children – including a young Linton Kwesi Johnson – adored Ring Ding, her Saturday morning children’s television talent show. Ring Ding was presented in Miss Lou’s brash, enthusiastic manner and taught children in the live audience and thousands more at home a whole range of folk songs and stories. She thought it important that “de pickney-dem learn de sinting dat belong to dem” (that the children learn about their heritage). She always ended her show with her signature “Walk Good! …… Ai yah yah!” followed by a huge laugh. Ultmately Miss Lou got her recognition as a master ironist and a master poet. The Jamaican government held a reception in her honour and gave her the title ‘Cultural Ambassador at Large’. As her biographer Mervyn Morris wrote, There is surely no West Indian author, living or dead, more often credited with having cleared a way. Having had my own accent publically put down by an authority figure I’ve always had the deepest respect for those who stand up for diversity of language, dialect and accent. I think it no coincidence that the deep patois of popular reggae DJs and singers – from Bob Marley and Prince Far-I to serious-minded poets like Michael Smith and Mutaburuka and Oku Onuora – emerged under Miss Lou’s watch.